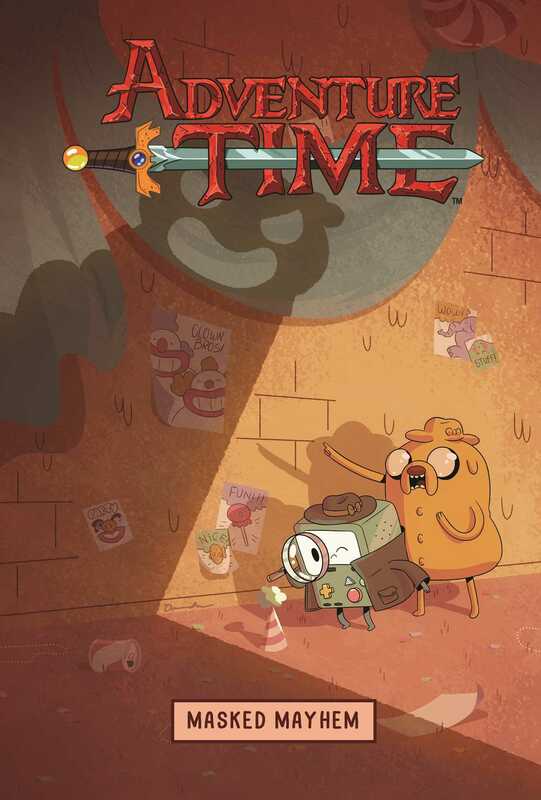 Adventure time is back with another wild Adventure in the land of Ooo! Jake and BMO are preparing for Masquerade Day, excited to see what everyone else dresses up as around the kingdom of Ooo. While going through the celebrations BMO discovers that their is a prankster crashing every party! Join BMO and Jake as they run across all of a Ooo in order to stop this trouble maker so that they can keep this party going. Based on the success of the Adventure Time and Regular Show original graphic novels, KaBOOM! is continuing the series of brand-new stories about the misadventures of our Cartoon Network heroes.